Having just slogged through our federal and state income tax returns, I was in need of relaxing. 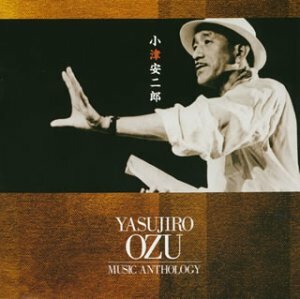 Fortunately I have this double CD Yasujiro Ozu Music Anthology. Let's make it the 366th Soundtrack of the Week. Ozu was famous for caring even less about music than Hitchcock did, telling the composers just to make it the same as it was for the previous movie. It's true that Ozu mostly stuck to one theme, one story, one movie, one style. But this consistency shouldn't be written off as a shortcoming or a limitation. Ozu belongs to a small group of artists which would also include Giorgio Morandi and Thelonious Monk. The music is gentle and lilting for the most part. There are similarities throughout the different scores, even with among different composers. Listening to it on its own like this, though, the movies themselves assert their presence, demonstrating that the music is in fact a very important part of Ozu's film world. Most of the earlier films represented here are scored by Senji Ito. Later on Takanobu Saito becomes the musical voice of Ozu's work. A few films were scored by others.